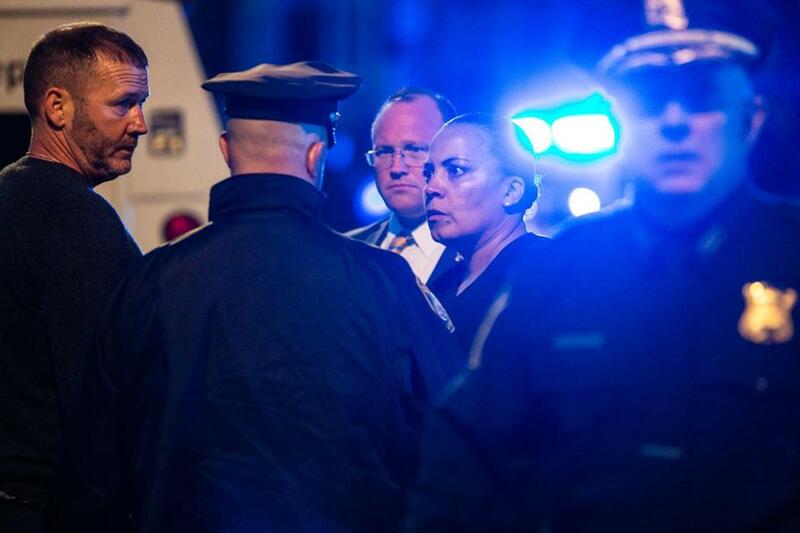 Suffolk District Attorney Rachael Rollins conferred with police at the scene of a triple shooting Saturday in Mattapan. Suffolk District Attorney Rachael Rollins and Governor Charlie Baker’s administration have sparred in recent days over the prosecutor’s recently released policy memo outlining her approach to fixing longstanding inequities in the criminal justice system. But what exactly has everyone been fighting about? Here’s a primer on the key issues that have Rollins at odds with Baker’s team. ■ The “Do Not Prosecute” List, and Related Proposals — Rollins raised eyebrows among fellow law enforcement officials with a section in the policy memo that referenced a so-called “do-not-prosecute” list of nonviolent offenses that Rollins’s staff will no longer pursue in court. The list includes crimes such as trespassing, shoplifting and drug possession. Other policies outlined in the memo include reassessing cash bail in some ongoing cases, reviewing pending Suffolk County appellate cases, and employing plea negotiations that emphasize diversion, not incarceration. Rollins has said her memo included policies she was elected on and that it codified past practices of her predecessors. 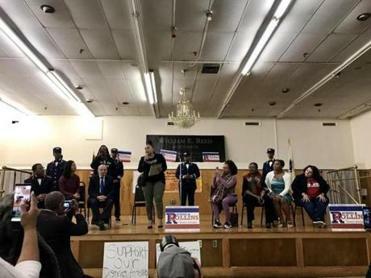 The comments at a Dorchester rally came a day after Rollins said she had nothing further to say about the series of tense exchanges between her office and Governor Charlie Baker’s office. Read: Who is Thomas Turco, who’s at the center of the dispute? But Thomas A. Turco III, Massachusetts’ public safety and security secretary, wrote in a letter of his own last week that he felt Rollins’ policies could undermine efforts to curb the ongoing opioid crisis and put some crime victims at risk. Turco, however, also praised Rollins’s “efforts to think differently’’ about criminal justice. ■The A.J. Baker case--Rollins has also criticized the handling of a case involving Baker’s son, Andrew “A.J.” Baker, who was accused in June of groping a woman during a flight to Boston. The younger Baker was escorted off the plane by State Police but not arrested. Governor Baker said at the time the US attorney’s office for Massachusetts would investigate. A.J. Baker hasn’t been charged with any crimes. ■Allegations of Gender Bias--Rollins, who took office in January, asserted during a press conference Friday that her male predecessors were treated differently. Is more tension ahead? No, according to separate interviews with Rollins and Baker over the weekend. And Rollins told Globe columnist Adrian Walker on Saturday that she appreciated Baker’s gesture. Danny McDonald of the Globe Staff and Globe Correspondents Maddie Kilgannon and John Hilliard contributed to this report. Travis Andersen can be reached at travis.andersen@globe.com. Follow him on Twitter @TAGlobe.